Buenaventura Golf Course originally opened in 1932 as a nine-hole course but closed in 2004 for major renovations. The course's original designer, William Bell, was consulted for the redesign. It was transformed into a more challenging course, but the 1930s design features were carefully preserved. Situated along the Ventura Harbor overlooking the Santa Clara River, Olivas Links (formerly known as Olivas Park Golf Course) enjoys coastal breezes that make it cool in the summer and warm in the winter, providing perfect conditions for golf year-round. 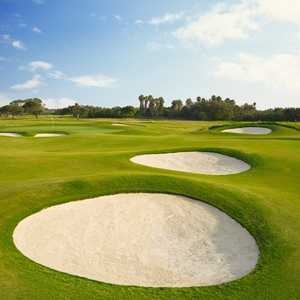 The golf course has a links-style layout that closely follows the natural swales and curves of the landscape. 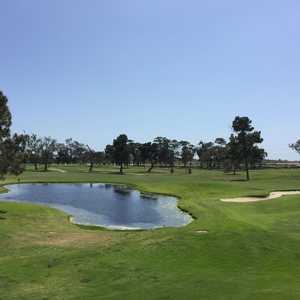 The 9-hole Saticoy Golf Course in Ventura, CA is a public golf course that opened in 1926. Designed by George C. Thomas, Jr. , Saticoy Golf Course measures 2655 yards from the longest tees and has a slope rating of 109 and a 65.